Thank goodness someone snapped a picture of this beast at a gas station, otherwise you may have never believed it exists. 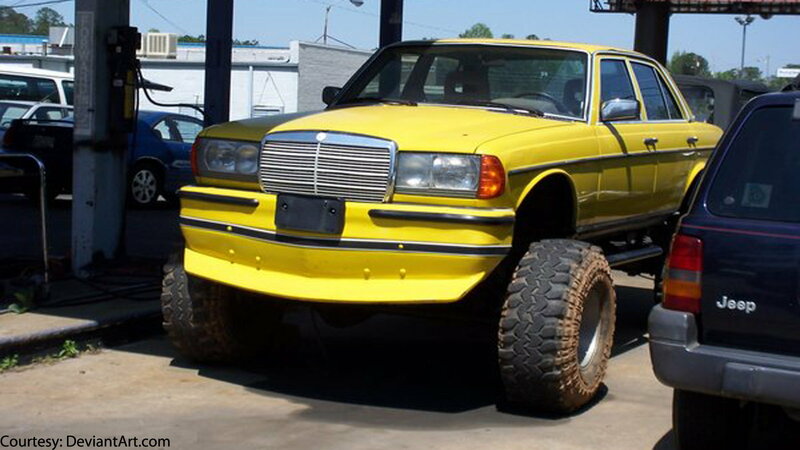 Someone fitted this yellow W123 with enormous off-road wheels and a massive front spoiler. 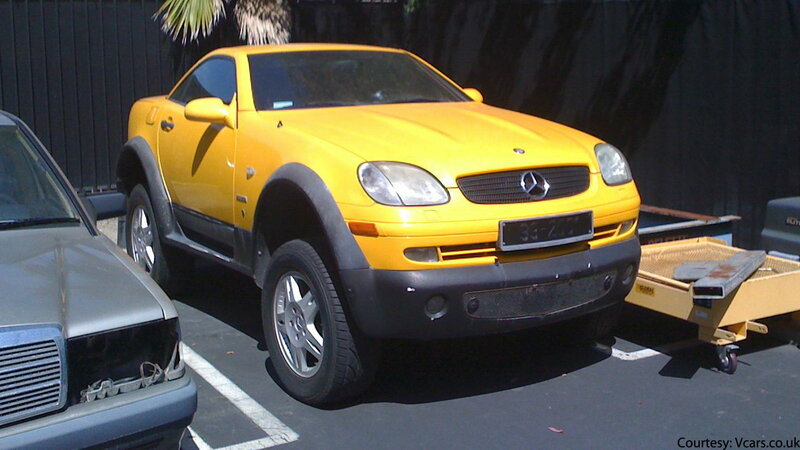 >>Join the conversation about these and other strange looking Mercedez-Benz in the Forum. 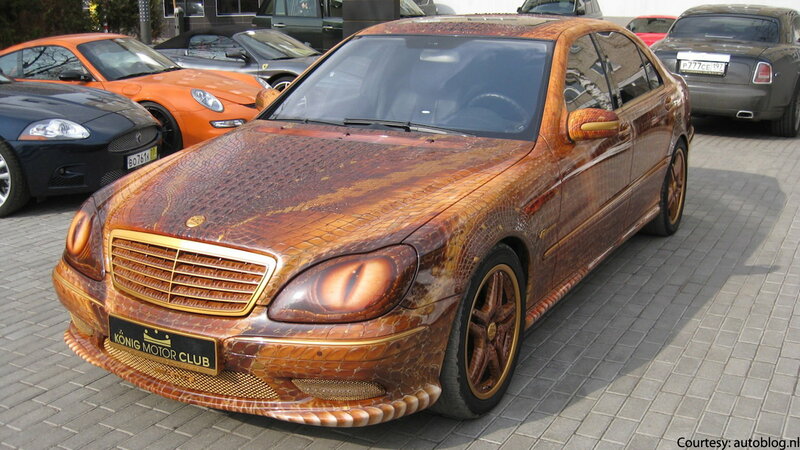 Admit it — the sheer sight of this creepily realistic snakeskin exterior sent a shiver down your spine. Needless to say, if my Uber driver pulled up in this almost unrecognizable Mercedes-Benz sedan, I would wait for the next one! Anyone else's brain having trouble making sense of this one? My main concern would be getting into the driver's seat, and then having to sit right on top of the wheel; this design just defies logic. 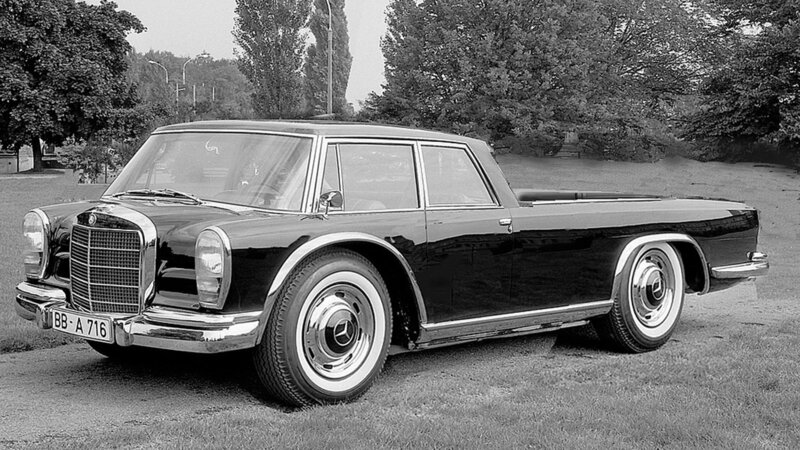 It was apparently based on a one-off Mercedes-Benz model 600 coupe. It kind of looks like something the Addams family would drive. 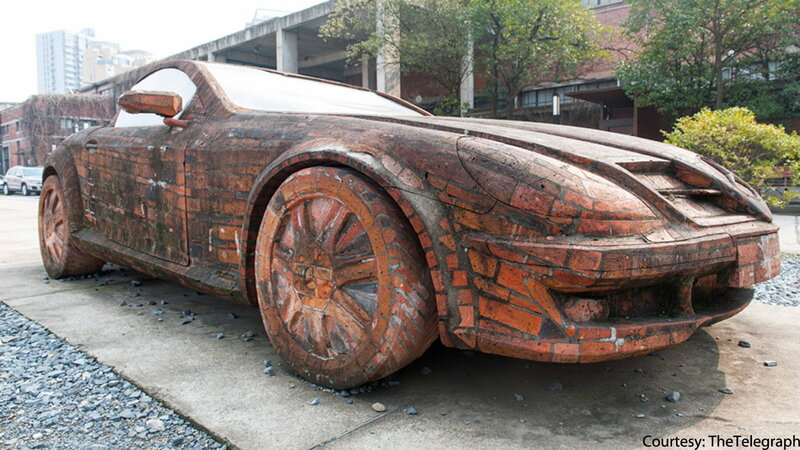 If you couldn't tell at first glance, this Mercedes-Benz is made of red bricks! Okay, so it's not an actual car, but it looks so close to the real thing. This bizarre art exhibit is on display in Shanghai, China. It was created by artist Dai Yun of Xi'an, who never intended to make it functional, but nonetheless it is approximately the same size as a Mercedes convertible. Your eyes aren't deceiving you — this is the body of a CLK convertible fitted to a G-Wagon chassis. These two models really couldn't be further apart in theoretical design, but that didn't stop someone from making a somewhat viable hybrid here.